The eagerly awaited Spotify app is now available for download for UK and European mobile users to download, for both Android and iPhone users. The app allows you to sync playlists, stream music to your phone through a wi-fi connection, and best of all, to access playlists when you are offline. So far, I have resisted buying a Spotify subscription, deciding to tolerate the ads to save myself £9.99 per month, though I had been having second thoughts recently, as the ads appeared to be becoming more frequent. This new app has decided the issue though, as it is only for premium subscribers, and I suspect that the appeal of an app which can store and play thousands of songs offline will be enough to convert plenty of other users into paying customers. It’s a smart move, and a great way to monetise the service since it adds real value, and I expect that Spotify will see a huge rise in its premium membership numbers over the next few weeks. Once you are playing a track, tapping the screen will bring up a few options, including volume controls, more songs from that particular album or band, and the option to add to your playlist. Storing tracks on the app to listen to offline is the really useful bit, and number of tracks you can store is dependent on the space available on your phone, though I have seen the figure of 3,000 tracks mentioned. Presumably so satisfy the record labels, tracks are only available to play offline for up to 30 days. 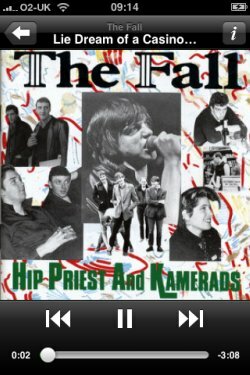 Syncing is easy enough, and doesn’t seem to take too much longer than downloading from iTunes. You have to add tracks to a playlist first, then select ‘offline playlists’ before choosing which lists you want to make available offline. I managed to sync 70 tracks in a little over ten minutes on a decent wi-fi connection. With access to millions of tracks Spotify is such an attractive service that any kind of half-decent app was always going to be popular, and it hasn’t disappointed, keeping most of the functionality of the desktop version, and producing a simple user interface for mobile. The only real drawback is that, as with Last.fm, you have to keep the Spotify app to listen to music so you can’t do anything else on the phone while using it, unlike the iPod. That won’t be enough to put off most users though. While 87% of online shoppers abandon their shopping baskets, the majority plan to return to websites later to complete their purchases, with baskets effectively used as wish lists. According to a basket abandonment survey from Amaze, 74% of respondents said they would return at a later date to make a purchase, and many are using the basket as a means to ‘window shop’ on e-commerce sites. The report suggests that, since there is little that etailers can do to change this behaviour, then less emphasis should be placed on abandonment rates as a measure of success or failure. 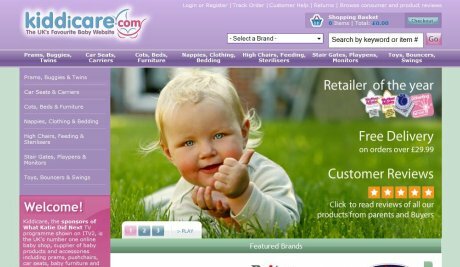 Baby products retailer Kiddicare.com has just relaunched its e-commerce site, with an emphasis on improving the site’s merchandising tools and product images. The key to success for YouTube lies in monetizing more of its videos, and the company made a step toward doing that today by opening up its Partnership Program to creators of one-off viral videos. Starting today, the video portal will allow any video creator with popular, approved content to add advertising to videos. While this won’t be the silver bullet to YouTube’s success, allowing viral video creators to make money from all those page views makes a lot of sense.